All Mercedes-Benz cars with front-wheel drive and 4×4 vehicles. Single throttle lift-off clunking noise from the side shaft when first taking off (audible at the outboard end). 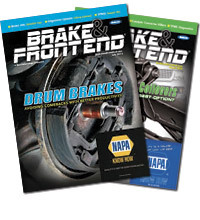 Also, the clunk is heard once when changing from forward to reverse. 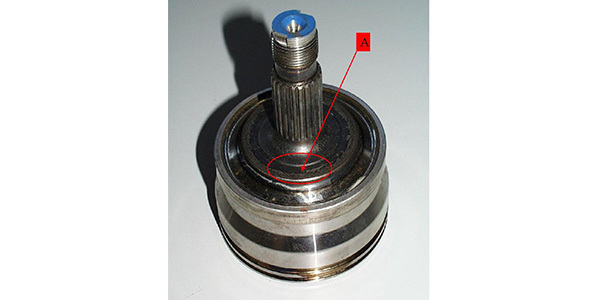 If the complaint is eliminated by experimentally loosening the outboard collar nut by one turn, the complaint is likely due to micro movement in the connection between the wheel bearing inner race and the joint housing of the side shaft. 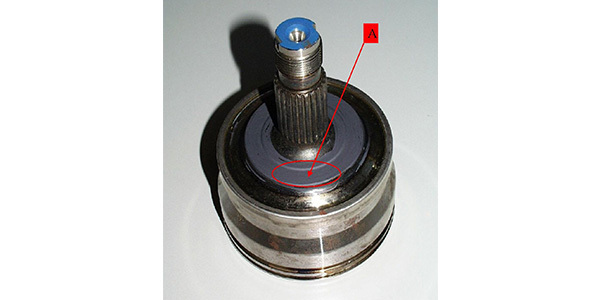 Note: The collar nut must always be replaced after being loosened and must be tightened to the specified torque. 1. Remove outboard side shafts. 2. Clean contact surface A (see Figure 1) making sure it is free of debris and oil. 3. Coat contact surface A (see Figure 2) with Molykote and leave to dry for one hour. 4. Reinstall the side shafts.